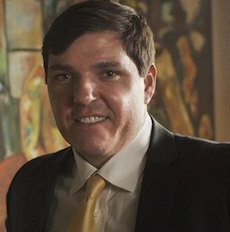 Jeffrey P. Berniard received his Bachelor of Science degree in Finance at McNeese State University, in Lake Charles, Louisiana in 2001 and received his Juris Doctorate degree at Loyola University New Orleans School of Law in 2004. Jeffrey opted to study in the state of Louisiana, his home, in order to stay close and stay connected to the state he loves and the state he grew up in. Loyola University New Orleans School of Law is one of the premier law schools in the state of Louisiana, consistently preparing students to be immediately practice-ready after graduation since its creation in 1914. Jeffrey Berniard embodies the hard work instilled in students at Loyola University New Orleans College of Law, as he has successfully represented the people of Louisiana since his graduation in 2004. Immediately following his graduation, Jeffrey Berniard was admitted to practice law in the state of Louisiana, including being able to practice in the Eastern, Western, and Middle Districts of Louisianaís U.S. District Courts. Jeffrey Berniard is also admitted to practice in the 5th Circuit in the U.S. Court of Appeals. Being admitted to practice in the various courts within the state of Louisiana allows Jeffrey Berniard to represent all Louisianans, whether they be from a small or large area of the state. Jeffrey Berniard has proven time and again that he will fight for justice for all Louisianans. On top of the many different jurisdictions that Jeffrey Berniard practices in, since 2004, Jeffrey has been a member of the Louisiana Association for Justice and the American Association for Justice since 2004. These organizations work to promote an effective justice system for the workplace and fairness in the courts for the aggrieved and injured. As a specialist in representing the needs of Louisianans, Jeffrey Berniard has devoted 100% of his practice to Litigation. Jeffrey Berniard received the Super Lawyers Rising Stars award in 2012, 2013, and 2014. Super Lawyers is a rating service of outstanding lawyers who have attained a high-degree of peer recognition and professional achievement. To receive a nomination for the Super Lawyers award, a lawyer must be nominated by a third party, and lawyers cannot campaign to receive a nomination. Next, independent research is conducted to determine which lawyers have had the most professional achievement and peer recognition for their work. Peer evaluations are then conducted, and final selections are then made. Only 2.5% of attorneys are selected to be Rising Stars, showing just how difficult it is to receive the award. Jeffrey Berniard has been recognized as a top rated class action and mass torts attorney. Learn more about this prestigious award at superlawyers.com. In order to meet the needs of every Louisianan, Jeffrey Berniard speaks English, French, and Spanish, to communicate with all of his clients in their preferred language. Call the Berniard Law Firm today at 504-527-6225 to arrange a consultation with a knowledgeable New Orleans mesothelioma lawyer. Super Lawyers is a rating service of outstanding lawyers from more than 70 practice areas who have attained a high-degree of peer recognition and professional achievement. Lawyers are asked to nominate the best attorneys who are 40 or under, or who have been practicing for 10 years or less. They are instructed to nominate lawyers they have personally observed in action whether as opposing counsel or co-counsel, or through other firsthand courtroom observation. The lawyers are ranked by point totals and those with the highest point totals are named to the Rising Stars list. No more than 2.5 percent of the lawyers in the state are named to the list. Interviewed on national television concerning litigation matters surrounding the BP Oil Spill in 2010. Reuters- National Press, Associated Press- National Press, The National Law Journal- National Press, RocketLawyer- National Press, Lawyers USA- National Press, Eesti Ekspress-Estonia, The Advocate-Baton Rouge, Houma Courier, New Orleans City Business, The Standard Times- New England, Miami Herald. Matthew A. Dephillips et. al. vs. North Oaks et. Al 21st Judicial District Court, Case No. 2015-0001388. This matter arises out of allegations by the Plaintiffs of violations by the Defendant of Louisiana’s balanced billing act. Jeffrey P. Berniard is lead attorney for the Plaintiffs and is actively participating in all facets of the litigation. Audrey Raymond v. Chalmette Refining, L.L.C., et. al. CDC Case No: 10-9397, Jerome B. Landry v. Chalmette Refining, L.L.C., et. al., 34th JDC Case No. 116574, matter arises out of a chemical leak by various Defendants, in which Jeffrey P. Berniard and co-counsel currently represent approximately 3,000 plaintiffs. Jeffrey P. Berniard is one of 4 attorneys appointed to the Plaintiffs steering committee and is actively participating in all facets of the litigation. Filed Virgil Lewis vs. Depuy Orthopaedic, Inc. et. al., USDC, EDLA No. 10-3370, Division “I”, Magistrate “1”. MDL No. 2197 IN RE: Depuy Orthopaedics ASR Hip Implant Litigation. The Lewis matter seeks to address Plaintiffs claims that arise out of the failure of his hip implant manufactured by Defendants. Jeffrey P. Berniard drafted all pleadings in this matter, including the Motion seeking transfer to the EDLA, which was filed with the Judicial Panel on Multidistrict Litigation. Enrolled as class counsel in James J. Friloux et. al., vs. BP, PLC, et. al., USDC, EDLA No. 10-1246, Division “J”, . Magistrate “1”. MDL No. 2179 IN RE: Oil Spill by the Oil Rig “Deepwater Horizon” in the Gulf of Mexico, on April 20, 2010. The Friloux et. al. matter seeks to address alleged losses caused by the various Defendants, BP, PLC Et. Al. that results from the explosion and ensuing oil leak from the Deepwater Horizon oil rig. Approved as member of Plaintiff’s Steering Committee in Sheila Guidry et. al. vs. The Dow Chemical Company et. al., Civil District Court for the Parish of Orleans, La. Docket No. 2009-7832. The Guidry et. al., matter arises out of a chemical leak by various Defendants, in which Jeffrey P. Berniard and co-counsel currently represent around 4,000 plaintiffs. Jeffrey P. Berniard is one of 4 attorneys appointed to the Plaintiffs steering committee and is actively participating in all facets of the litigation. Enrolled as class counsel in Enjoli et. al. vs. Iovate Health Sciences, U.S.A, USDC, EDLA No. 09- 3533, Division “R”,. Magistrate “3”. Hydroxycut Marketing and Sales Practice Litigation, MDL No. 2087. The Enjoli et. al. matter seeks to address alleged deceptive sales practices against the Defendants, Iovate Et. Al.. Jeffrey P. Berniard drafted all pleadings in this matter, including the Motion seeking transfer to the EDLA, which was filed with the JPML. Enrolled as counsel in Wiltz et. al vs. Knauf Gips KG, et. al, USDC, EDLA No. 09-3488, Division “s”,. Magistrate “2.” This matter is currently consolidated with several other lawsuits alleging the same causes of action in the Eastern District of Louisiana, In Re: Chinese-manufactured Drywall Products Liability Litigation, MDL No. 2047. The Bodet matter seeks to address alleged antitrust allegations against the Defendants, Charter Communications Et. Al.. Jeffrey P. Berniard along with co-counsel filed the first and only petition for damages against Charter for the alleged Sherman Act Antitrust violations. Enrolled as class counsel in Henry Holmes et. al. vs. Cox Communications, USDC, EDLA No. 09-2996, Division “S”,. Magistrate “4”. Transferred by the JPML to the Western District of Oklahoma, IN RE: Cox Enterprises, Inc., Set-top Cable Television Box Antitrust Litigation, MDL No. 2048. The Holmes consolidated matter seeks to address alleged antitrust allegations against the Defendants, Cox Communications Et. Al.. Jeffrey P. Berniard along with co-counsel filed the first petition for damages against Cox for the alleged Sherman Act Antitrust violations. Jeffrey P. Berniard is currently working along with co-counsel from around the county of the subsequently 15 filed causes of action alleging similar transgressions by the Defendants. Enrolled and approved by Judge Kern Reese as one of three lead class counsel in Toni Swain Orrill, et. al. v. AIG, Inc., et. al., CDC Docket Number 2005-11720, Division “L”, Section 6. The Orrill et. al. matter was a competing and sister class action of the Chalona et. al. matter. In this matter a class of 70,000 members was seeking bad faith penalties for the alleged tardiness in payment and tardiness in opening of claims during Hurricane Katrina and Rita by the insurance company of last resort in Louisiana. The Chalona and Orrill matters were joined for purposes of settlement. A settlement of $35 million dollars was successfully negotiated along with two other lead class counsels for this matter. Jeffrey P. Berniard was personally involved in every aspect of the case and the complexity of this matter was further exacerbated by way of a third competing sister class action filed in another parish who sought to derail the settlement by various methods. Enrolled and approved by Judge Robert Buckley as one of three lead class counsel in Chalona et. Al. vs. Louisiana Property Insurance Company, 34th JDC, No. 107-125, Div. “A” The Chalona et. al. matter consisted of a class of 70,000 members that were seeking bad faith penalties for the alleged tardiness in payment for claims during Hurricane Katrina and Rita by the insurance company of last resort in Louisiana. One of three Plaintiffs attorneys for the class and was involved in every aspect of the case up until it was subsumed and consolidated with the Orrill et. al. class action detailed below. Basics of Auto Accidents and Medical Experts & Medical Records: This introductory seminar is designed to assist attorneys in handling their first automobile accident case. The course will be taught so that attorneys new in this field will be able to recognize where potential clients will need expert assistance in determining the extent and value of damages, dealing with insurance companies and deciding the best option for getting the maximum compensation for their losses. Personal Injury 101: This introductory course was designed to assist attorneys in handling a diverse set of personal injury cases. The course taught attorneys how to handle a personal injury claim from beginning to end, focusing on important issues such as settlement negotiation, medical records and effective trial tactics. Mr. Berniard taught continuing legal education on the topics of Product Overview and Status of Current Litigation. Oil Pollution Claims and Litigation. Mr. Berniard has been asked to present at a continuing legal education on the topics titled Current State of OPA Litigation and Claims Process Under the OPA. Mr. Berniard has been asked to present Overview of Federal Class Action Litigation and Certifying a Class Action in Federal Court to law students as part of the skills course curriculum. Gulf Oil Spill Disaster Response Summit. Jeffrey P. Berniard will present on the topics of the Oil Pollution Act of 1990, the Feinberg Fund and Claim Payments, how the Gulf Coast Claims Facility will operate, and claimants legal rights. Chinese Drywall Problems and Litigation- HalfMoon Seminars LLC Mr. Berniard taught continuing legal education on the topics of Exploring Potential Liability for Damages Caused by Chinese Drywall Problems .